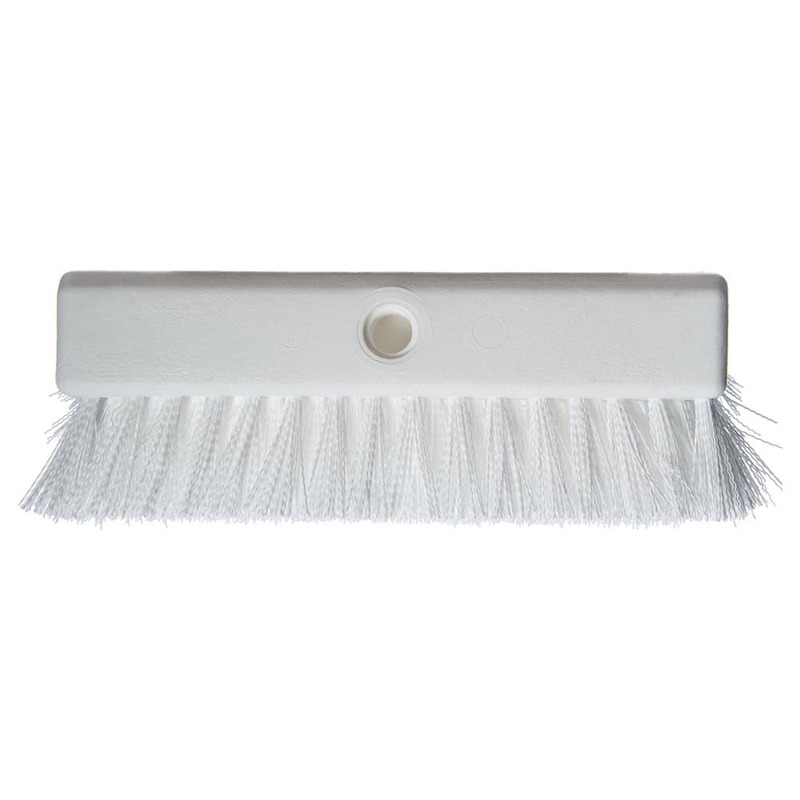 The Carlisle 4042302 Sparta® Hi-Lo™ floor scrub brush has crimped bristles that simplify cleaning while preventing mildew and mold growth. 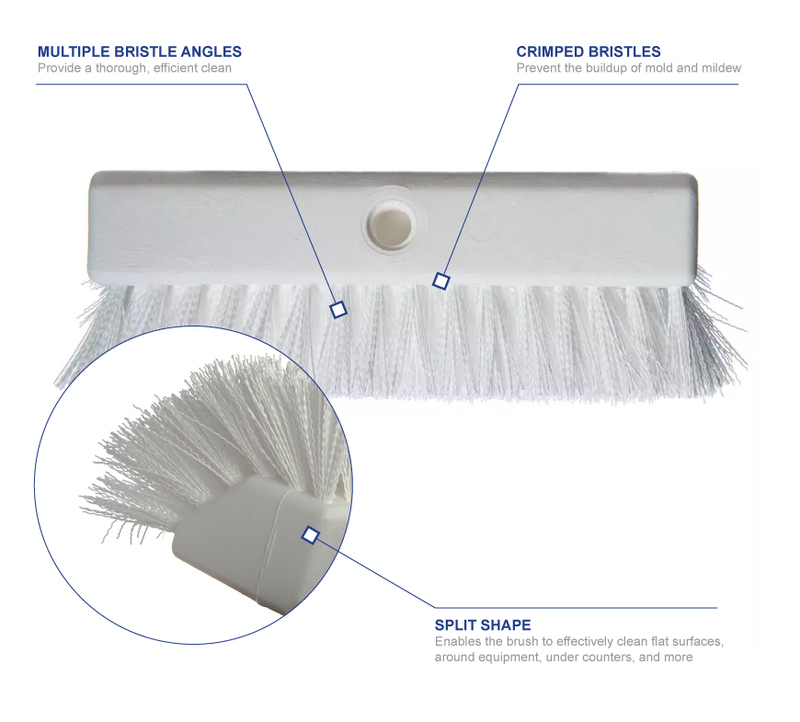 Bristles are set at three different angles to provide a thorough, efficient clean, and its split shape is ideal for flat surfaces, around equipment, along baseboards, and more. 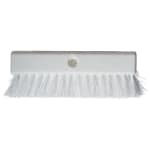 The Carlisle 4042302 Sparta Hi-Lo floor scrub brush is safe in temperatures from -40 to 180 degrees Fahrenheit.